The dining room and attached kitchen are also modeled with traditional Tacana style. 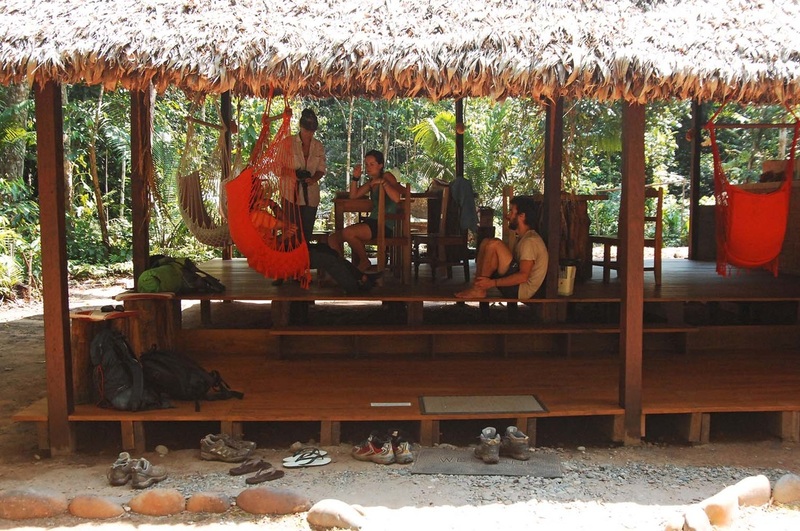 This is the only shared space at the camp; here our guests can talk amongst themselves and with the guides about their own jungle experiences or local folklore. The hammocks and open air platform make for a lovely relaxed atmosphere. 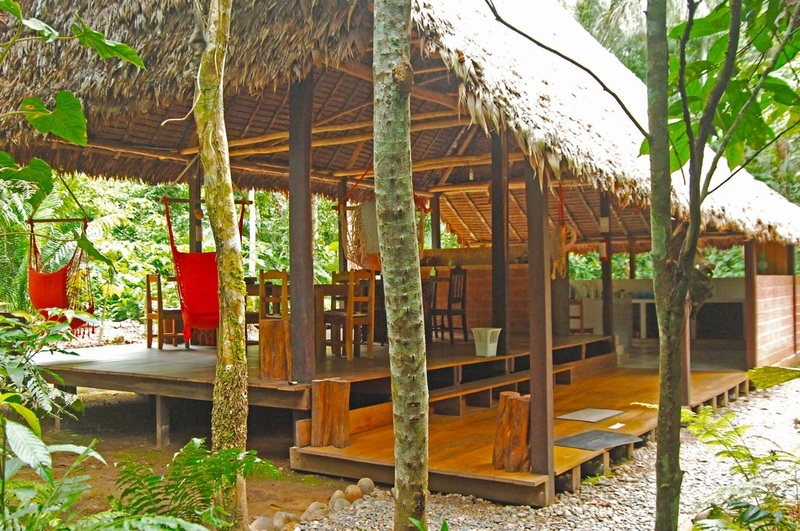 Our rustic camp is ideal for the total immersion in the Amazon, specially at night because the animals like to walk through the trees surrounding the camp. The dining room is equipped with a generator-powered electrical outlet (220v). We only turn it on for around 2 hours per day, and our guests are invited to charge their cameras or any other electronic device. Next to the dining room there is a small garden where we grow local fruits and vegetables, to season and add to our meals whilst being as ecological as possible.